This is simply Andruchi under a fake name because his manipulation was exposed. Basically he tells you about a great FREE roulette strategy that can make you a fortune . 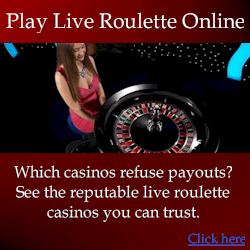 . . but it works ONLY at specific online casinos. And how good of him, he even links to these apparently “flawed” casinos, with his affiliate link. Andruchi has been running this scam for a long time. He has dozens of sites all doing the same thing. He even created numerous sites aimed solely at trying to discredit me, because I tell people about his scam. 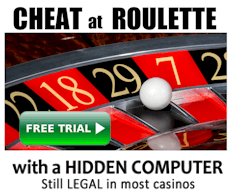 Casinos that know about this and allow this kind of dishonest promotion include Noble Casino (noblecasino.com), Enter Casino (entercasino.com), Casino Las Vegas (casinolasvegas.com) and Crown Europe (crowneurope.com). You can ask yourself, would you trust such casinos that allow players to be deceived and cheated? It is not uncommon for especially online casinos to blatantly refuse payouts, and you can be sure that dishonest conduct in any way gives you clues as to how a casino operates. VERDICT: The same scam on a different website.